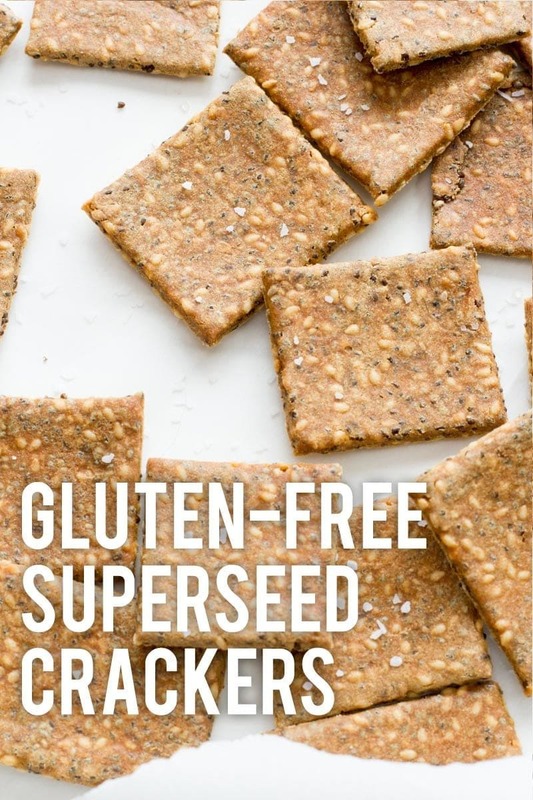 These Gluten-Free Super Seed Crackers are super easy to make and super tasty! Serve them up with hummus or white bean dip. So, I neglected to mention a pretty huge thing that happened to me this past week. 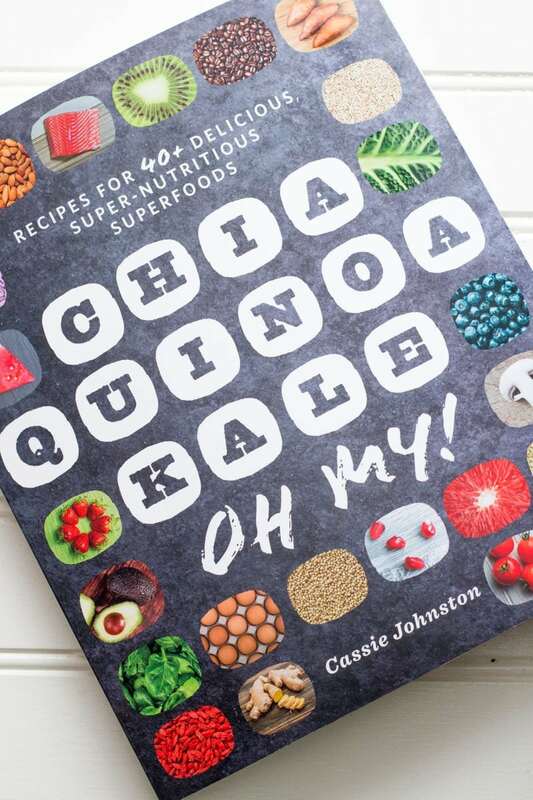 I blame the hub-bub of the holidays, but somehow, I forgot to tell you guys that my second cookbook, Chia, Quinoa, Kale, Oh My! was officially released this past week! If you preordered the book (THANK YOU! ), it shipped early, and you’ve probably had it in your hands for a few weeks now. I hope you’re absolutely loving it! If you haven’t yet ordered it, please hold for the following sales pitch. I promise this will be the first and last time I unabashedly plug my book. I poured my heart and soul (and maybe some tears) into this book. I am so incredibly proud of the final product, and I’m would be absolutely honored to have a spot in your kitchen. 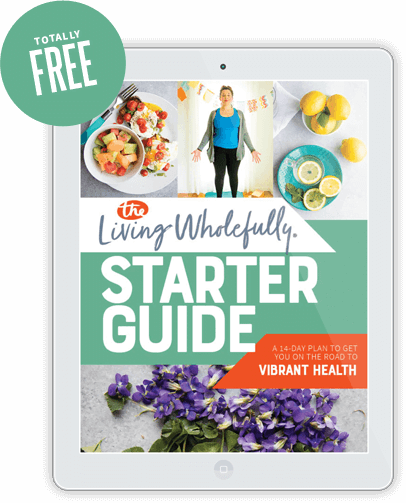 This book has over 100 recipes that are clean, healthy, crazy delicious, and focus on using your favorite superfoods in new and interesting ways. 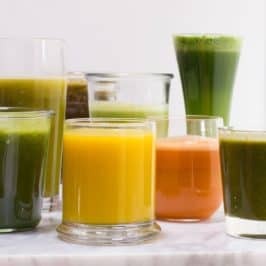 There are recipes using old-standby superfoods such as spinach and oats, but also recipes that’ll help broaden your superfood horizons. I show you how to cook with goji berries, hemp seeds, amaranth and over 30 other superfoods! Each recipe has at least one (and most have multiple) full-color photo shot by me in my very own home kitchen. Each recipe was tested over and over again to make sure they’re successful when you go to try your hand at them. 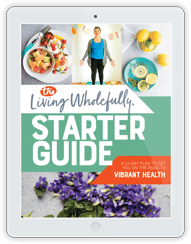 The book is also packed with tons of great information about superfoods and little tid-bits of advice from me. Right now, this book is selling on Amazon for only $16.46—and while I might be a little biased, I think there is way more that 17 bucks worth of usefulness in these pages. End of pitch. Let’s talk crackers. There are a lot of really incredible recipes in my new cookbook (at least, I think they’re incredible). 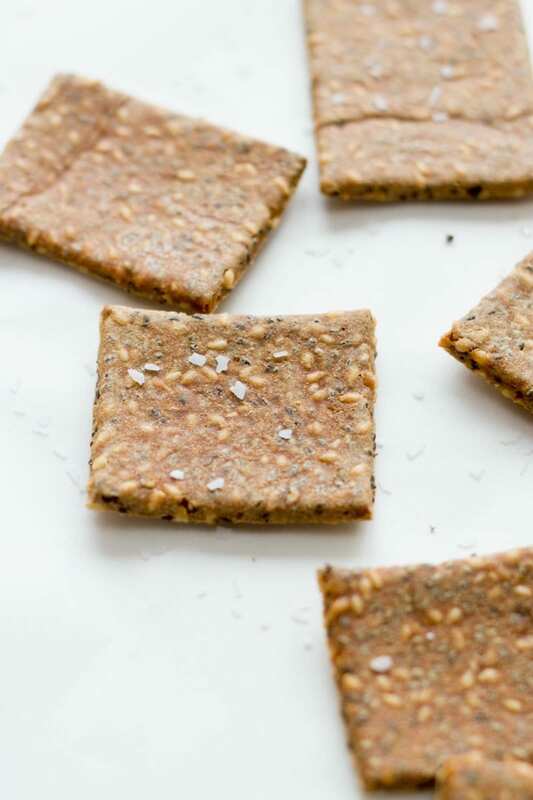 And out of all of those recipes, I think these super seed crackers are one of my favorites because they are so incredibly simple that it makes it feel almost too easy to eat healthfully. Like, it’s supposed to be harder than this, you know? Except it isn’t. 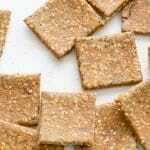 Healthy eating doesn’t have to be hard, expensive or time-consuming, and recipes like these crackers prove that! We’re a big cracker-eating household. We eat them with salad or soup. We eat them as a snack with hummus or white bean dip. 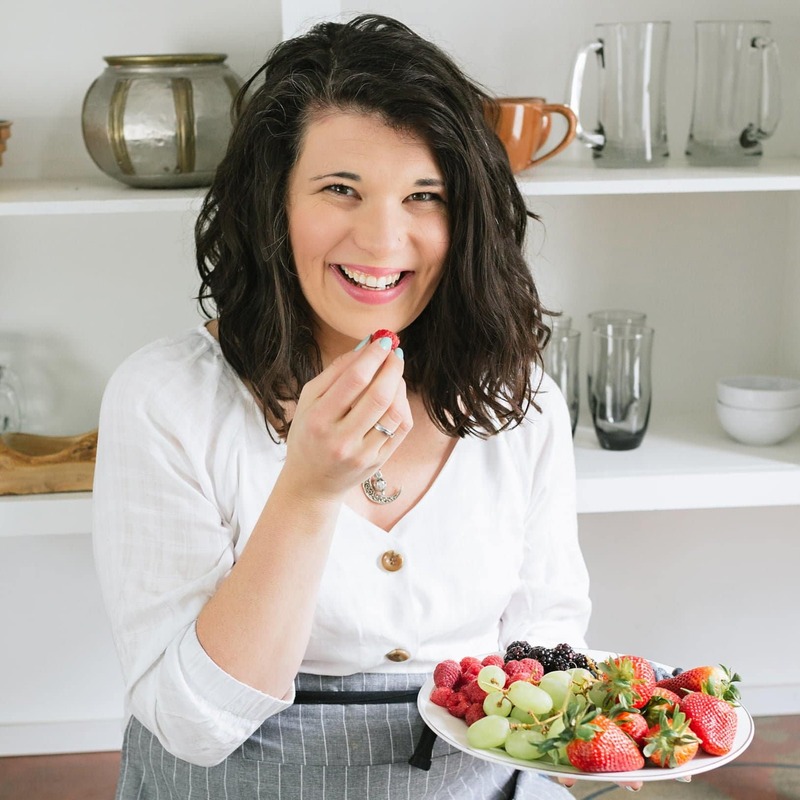 When I first started learning about what it meant to truly eat healthfully, I started to investigate the ingredients on the crackers we loved, and I was shocked by what I found. They were packed with so much crap. Nasty chemicals, artificial flavors, artificial colors, and so, so, so much sodium! We immediately started buying “better” crackers. You know the ones. The ones from the expensive aisles at the grocery store. The ones that have great ingredient lists, but cost $5 for about 10 crackers. Finally, after dropping $20 just on friggin’ crackers during one grocery shopping trip, I was fed up, and decided to make my own crackers at home. I figured it would probably be time-consuming and complicated, but it would be worth it to save some cash. I was pleasantly surprised when I found out making crackers at home was actually really quick and incredibly easy. I never looked back to those $5 a box crackers! Making crackers at home is the way to go, especially if you have any dietary concerns. 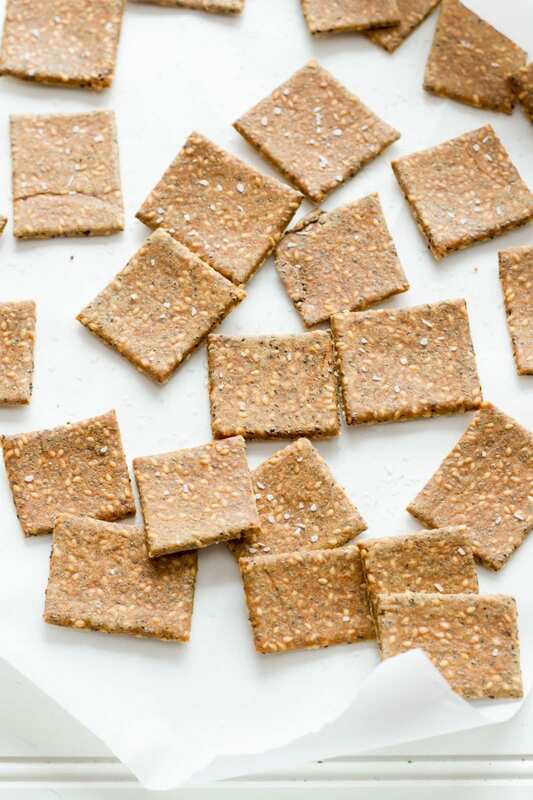 These gluten-free crackers are incredibly simple to make, but also incredibly adaptable. 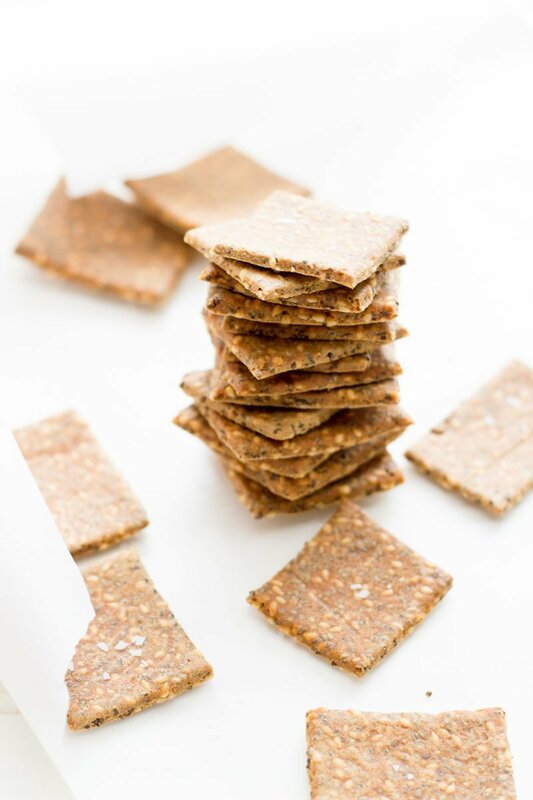 I was on an amaranth kick while I was developing this recipe (hence the whole section in my book on amaranth), so I decided to make the dough for these crackers using nutrient-dense and gluten-free amaranth flour. Most major grocery stores have a gluten-free baking section, and in most of those sections, you’ll find amaranth flour (Bob’s Red Mill makes a great one). 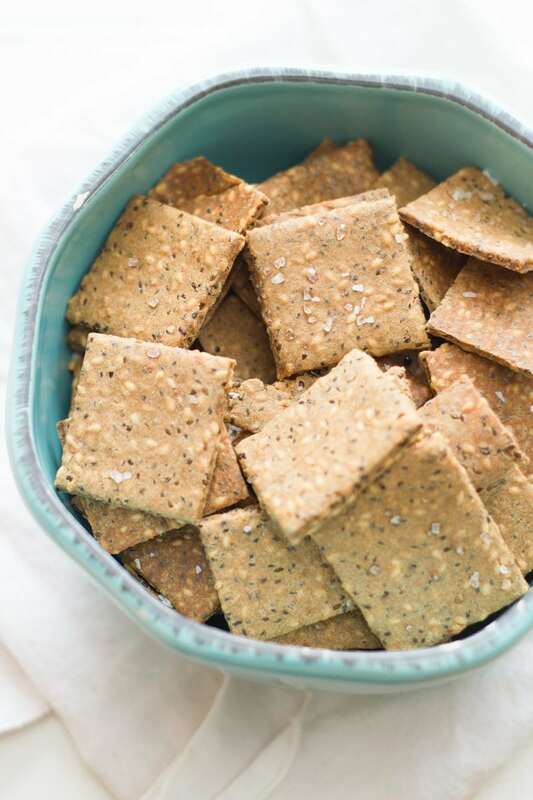 But since these super seed crackers are so adaptable, you don’t even need to use amaranth flour if you don’t want. You can use other gluten-free flours (like millet flour or garbanzo bean flour), you can also try it out with whole wheat flour, but the result is a bit more chalky. The non-wheat flours really help keep the crackers nice and crisp. 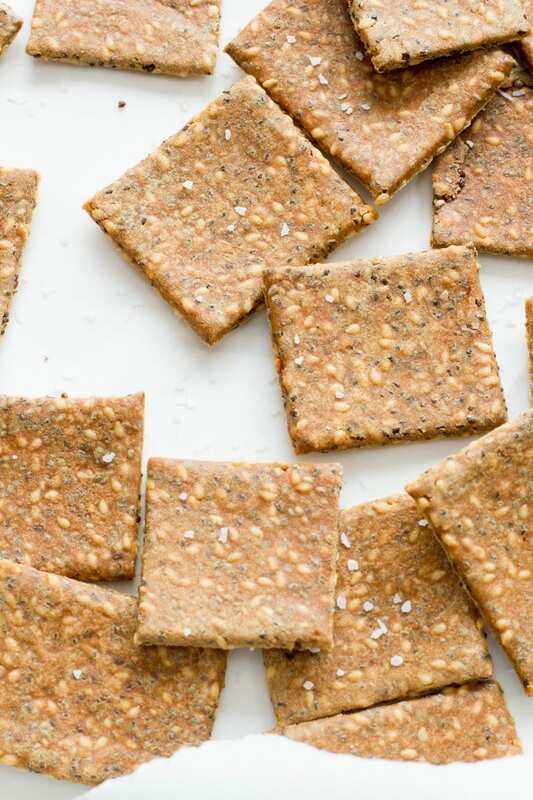 The add-ins for these super seed crackers are also completely adaptable. In the cookbook, I call for a full cup of sesame seeds. The resulting cracker is deeply sesame-y, crunchy, and delicious. But here, I’m urging you to mix it up a little bit. I like doing a full cup of mixed super seeds. Try a quarter cup each of whole flax seeds, chia seeds, hemp seeds, and sesame seed. So delicious, and so good for you. These gluten-free crackers are super easy to make and super tasty! Serve them up with hummus or white bean dip. In a bowl, combine the amaranth flour, super seeds, olive oil, eggs, salt, and water until the mixture forms a crumbly dough that holds together when squeezed. Form the dough into two discs. Lay a piece of parchment paper on a flat surface, place one of the discs on top, and cover with another piece of parchment paper. Roll the dough into a rectangle about 1/8-inch thick. Remove the top piece of parchment, and using a pizza cutter, cut into 1-inch squares. Transfer the crackers (including the lower piece of parchment paper) to a baking sheet, sprinkle with extra salt, and bake for 15 to 20 minutes, flipping the crackers halfway through the baking time, or until the crackers are browned and crisp. Repeat with the remaining dough disc. Adapted from Chia, Quinoa, Kale, Oh My! Hi Cassie, I noticed the recipe mentions eggs, which would not make it vegan. I might give this a go (not currently being vegan!) as it does sound very simple! Whoops! I meant to write “dairy-free” not “vegan”. Can I blame lack of sleep? Sorry! I used a combination of half almond flour and half a gluten-free flour mixture that included rice flour, among other gluten free flours. I only had ground flax seeds, so they were the seeds I used.. The texture of the dough was fine and easy to work with, I easily rolled this out using one sheet of wax paper and one sheet of parchment paper.. But, I am sorry to say these crackers tasted horrible, they had a strong smell and taste of eggs., and they were extremely bland, kind of like I image a dog biscuit might taste like. Maybe it was my substitution of ground flax seeds, I am not sure. I have made other paleo crackers with rice flour and almond flour, and they were very tasty; I am not sure what went wrong, but these were completely in-edible, I spit them out, rinsed my mouth out, and crumbled them up to use as bird food. Tracy.. you changed the COMPLETE Recipe, The only similarities would be essentially the wet ingredients – and you are complaining about Cassie’s recipe? Just because you only know how to make dog biscuits, don’t go hating on other’s work (especially since you haven’t actually tried this recipe). Doesn’t sound like a fair review at all. I replaced the 3 eggs with 2 and a half cups water and obtained a slightly liquid paste that I carefully spread into two thin layers, on two oven trays. After 15 minutes baking and cutting the crackers, I baked them at 248 degrees for one hour and they dried slowly and well. Crackers tray borders and margins are ready before those in center! So, one has to gradually remove crackers from oven. The resulting crackers are very good! Thank you! Can they be made without eggs? You mentioned they’re vegan so does this mean they can be excluded?? Sorry! I meant to write “dairy-free” not “vegan”. 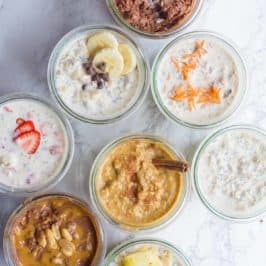 If you do try them with a vegan egg (like chia or flax), let me know how they turn out! In order to get the dough to stick together and prepared to roll, I needed to add an extra 2 eggs and 2 more Tbs. Olive oil. I also baked them 2 minutes longer in order to toast them. I added some ground hemp seeds and pumpkin seeds. I’m sure that this was the reason I needed the extra eggs and oil. Congrats on your second cookbook! Based on its title and these crackers, I can already tell I would love it. I’ve never actually seen amaranth flour in stores though – did you buy yours or make your own? Um, yum. 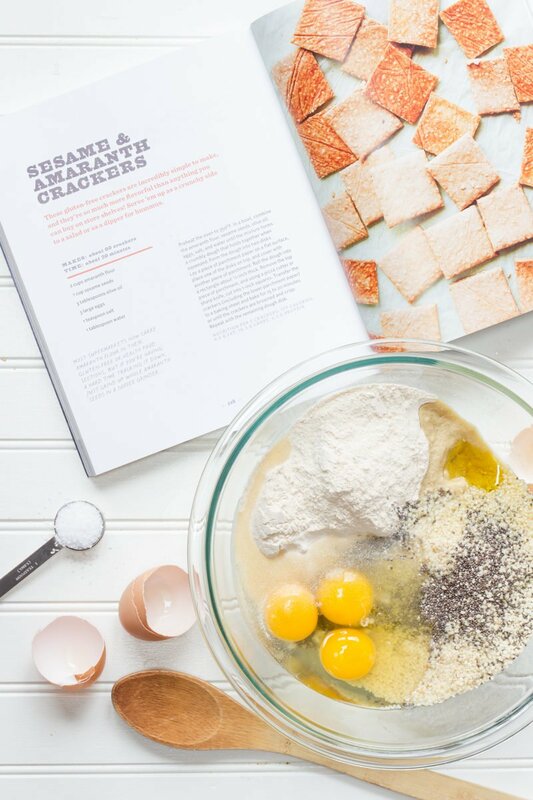 Love me some sesame crackers and love that they are homemade! How do you store them and how long would they keep? I keep them in an airtight Pyrex container, and they last pretty much forever. :) Or until they’re gone. You absolutely deserve to plug your own book! It looks beautiful and judging from your blog it has to be packed with insanely genius recipes!! So excited for you!! Congratulations!! Your book looks gorgeous — from the attractive cover design to your lovely photos getting the full-page glory they deserve. 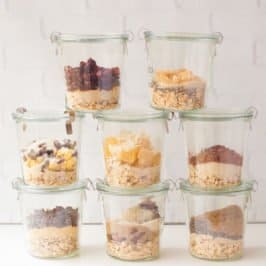 What a nice way to share your incredible recipes! 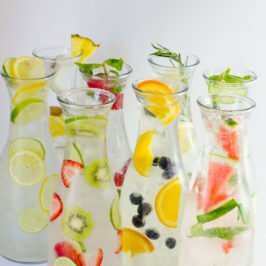 Great recipe idea! Where do you buy your seeds? 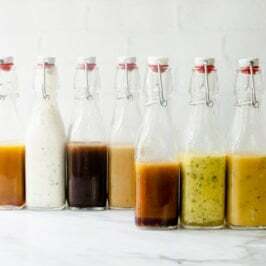 We buy them in bulk on Amazon, but sometimes we get them from the bulk bins at Whole Foods or our local health food store. I just made my first batch and it will definitely not be my last! YUM!!! They look AMAZEBALLS! I’m going to try this recipe this weekend :) How long do they last? Hi Cassie! I made these last night and added half cup of nutritional yeast and some additional water and these came out tasting just like Cheeze-Its! A serious win in my book. Thanks so much for this recipe! I just made crackers with this recipe as a base. Mostly followed the recipe, but changed up the seeds and flour a bit. I added some flavors of rosemary, thyme, and chana marsala. I am very pleased with how they turned out. Thank you.